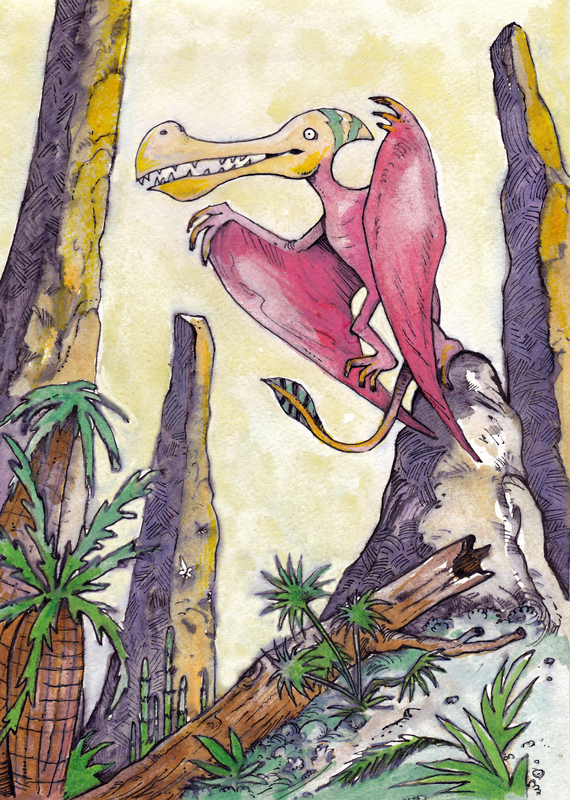 This is a sketch of a Pterodactylus that I added color to with watercolors. Looks like I am on a dinosaur drawing streak. 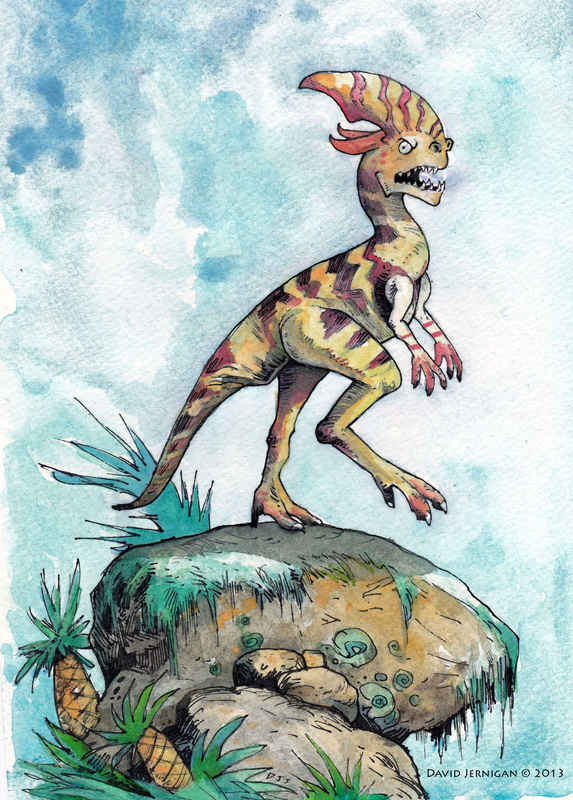 This is my watercolor illustration of an entirely made-up dinosaur.